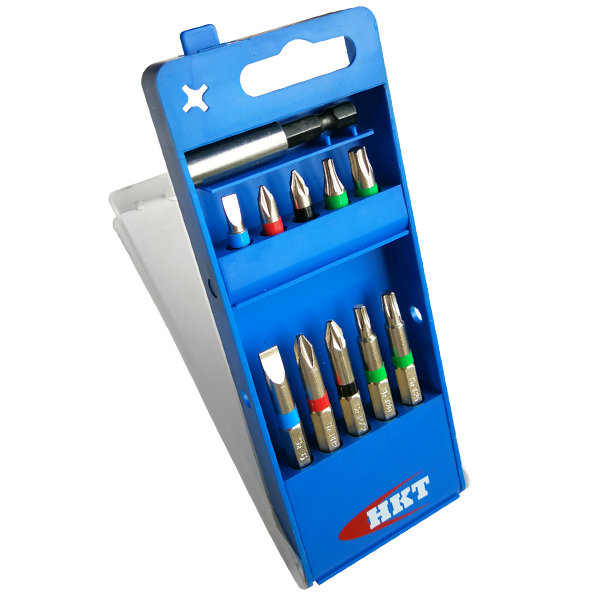 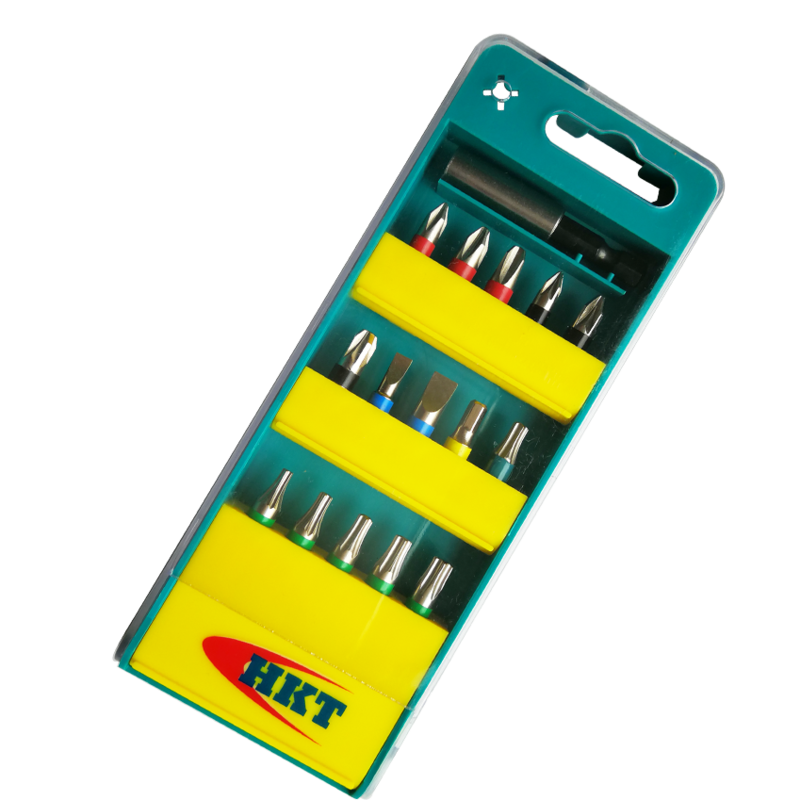 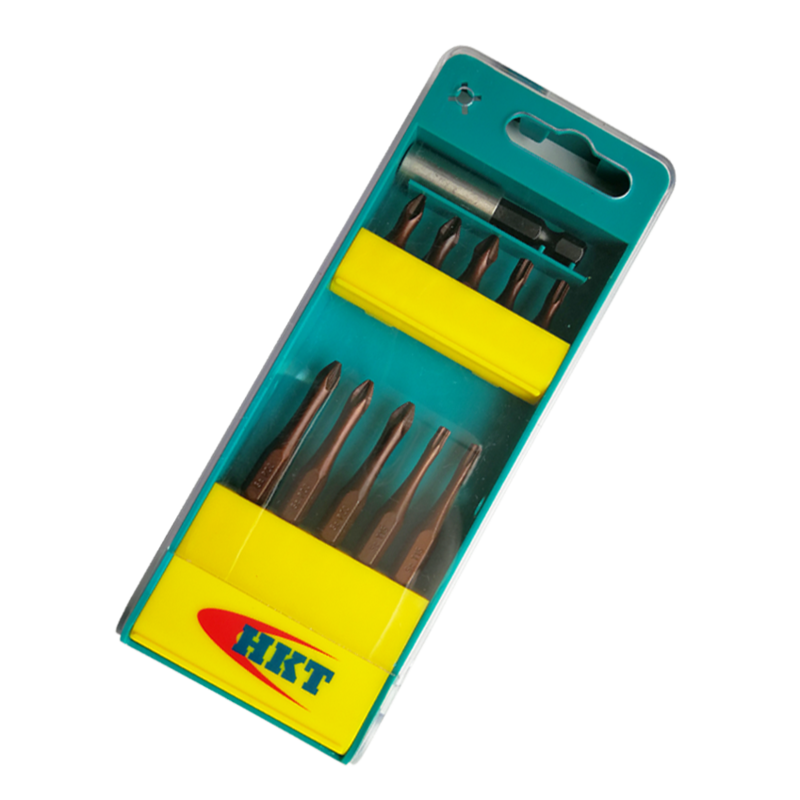 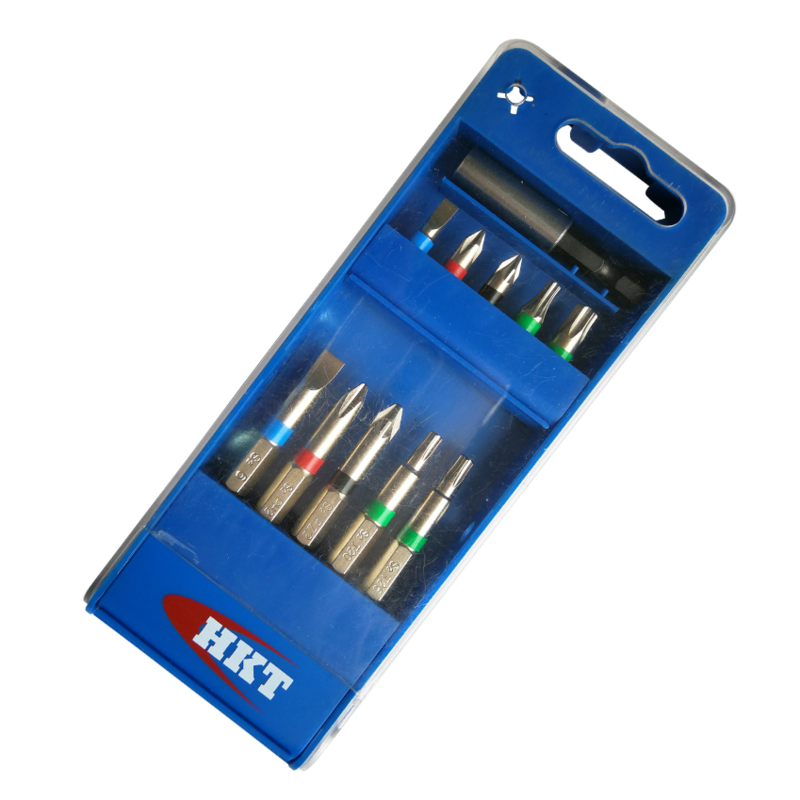 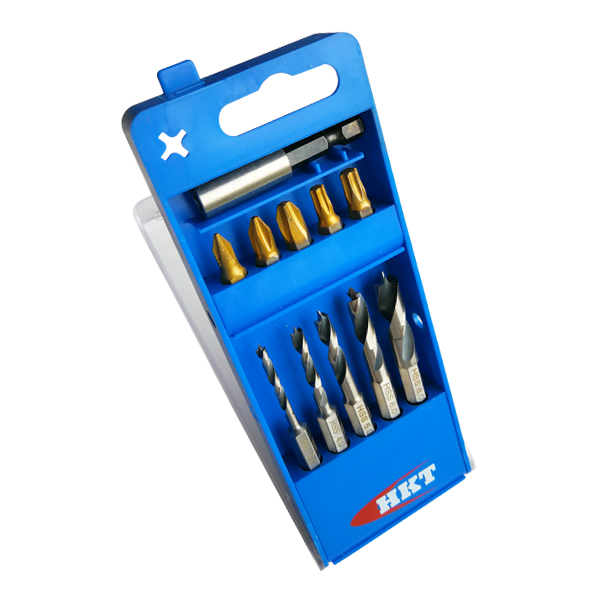 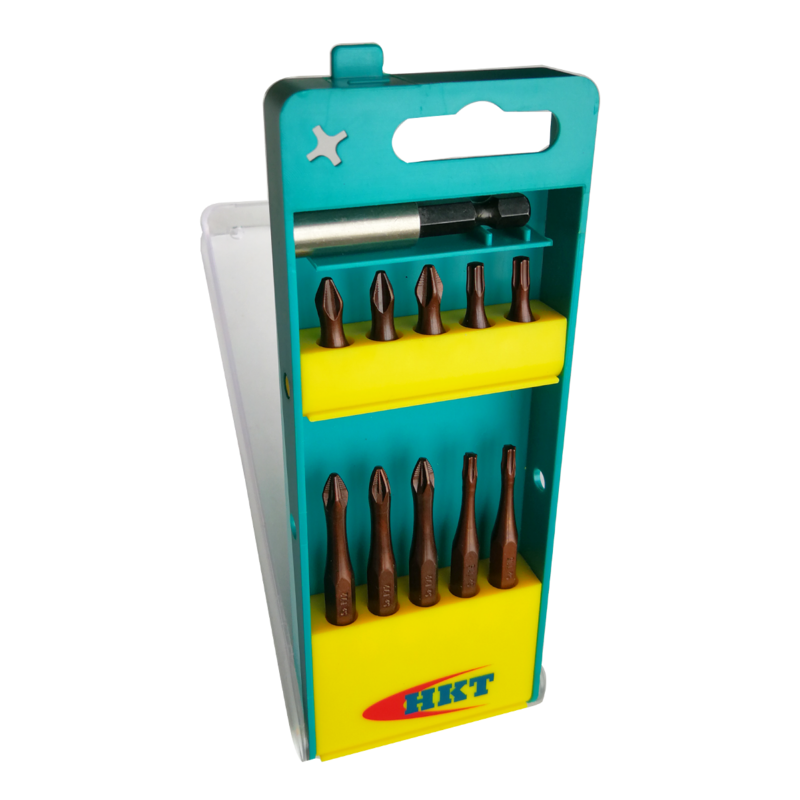 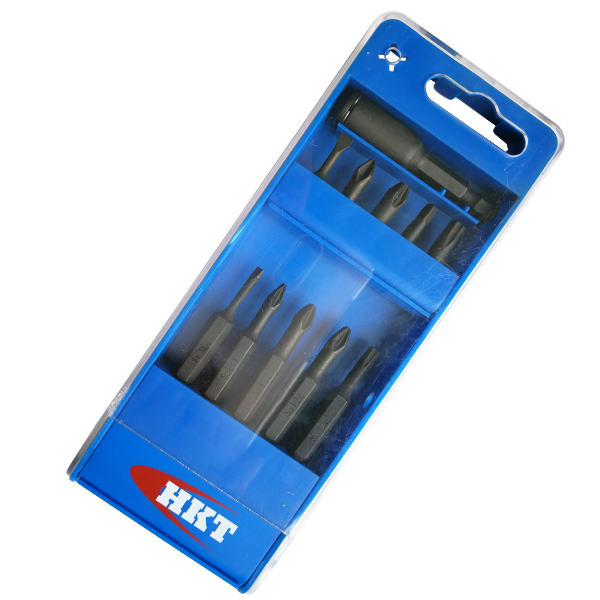 11Pcs Drills and Bits Set - Buy Drill Set, bits set, Drills and Bits Set Product on Huikang Tools Co. Ltd.
• Unique streamlined and compact injective solid plastic box packed series drills and bits set. 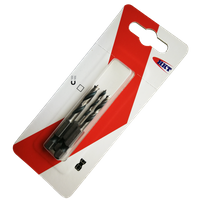 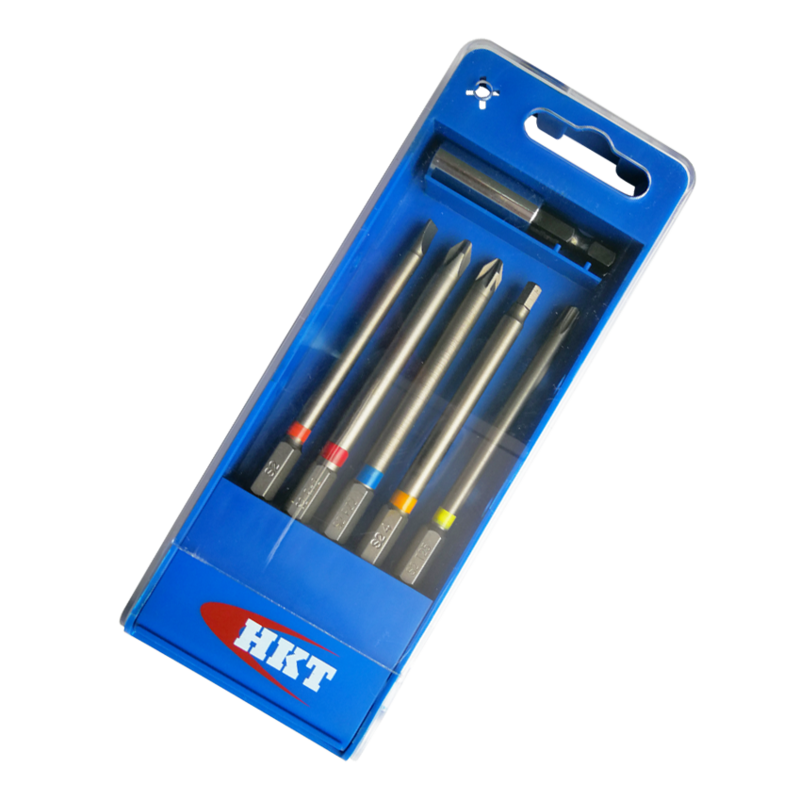 • Including professional quality stubby type HSS wood working drills with 1/4" integral hex shank. 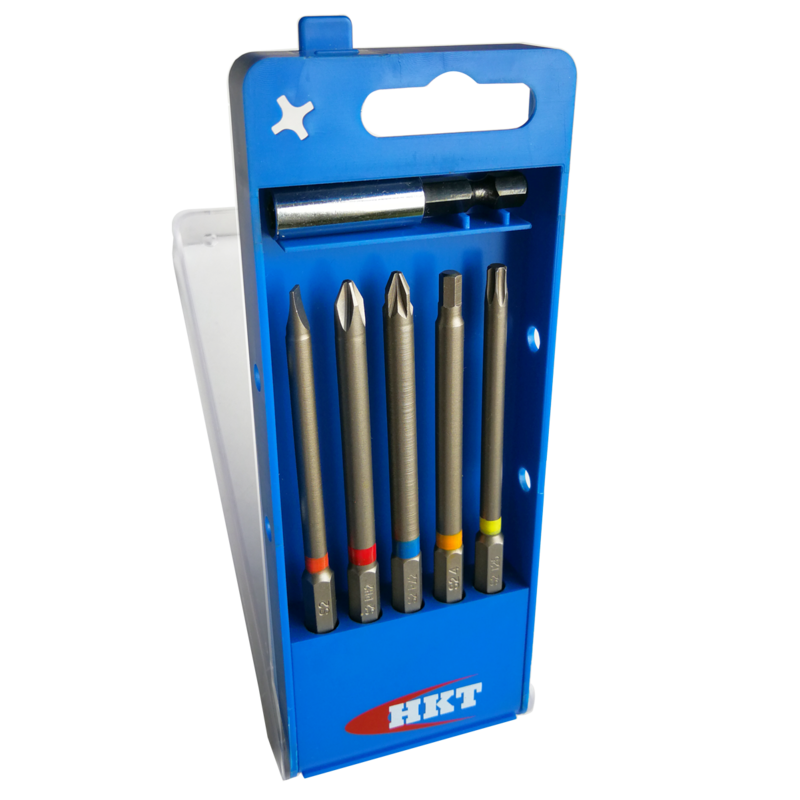 • There are torsion bits, impact bits and normal milled bits, with and without color ring. 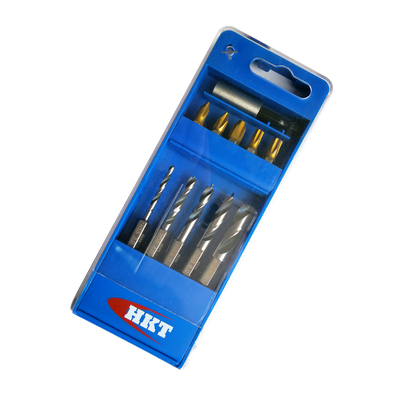 - 5pcs 59mm stubby HSS wood drills: with integral 1/4" E6.3 hex shank. 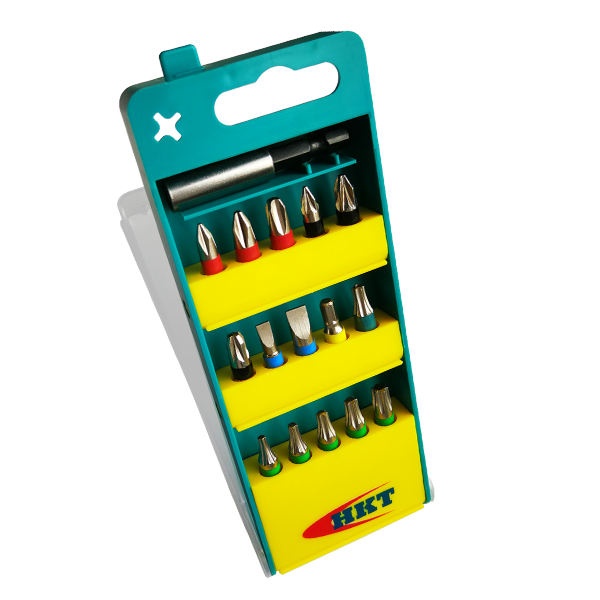 Fully ground. 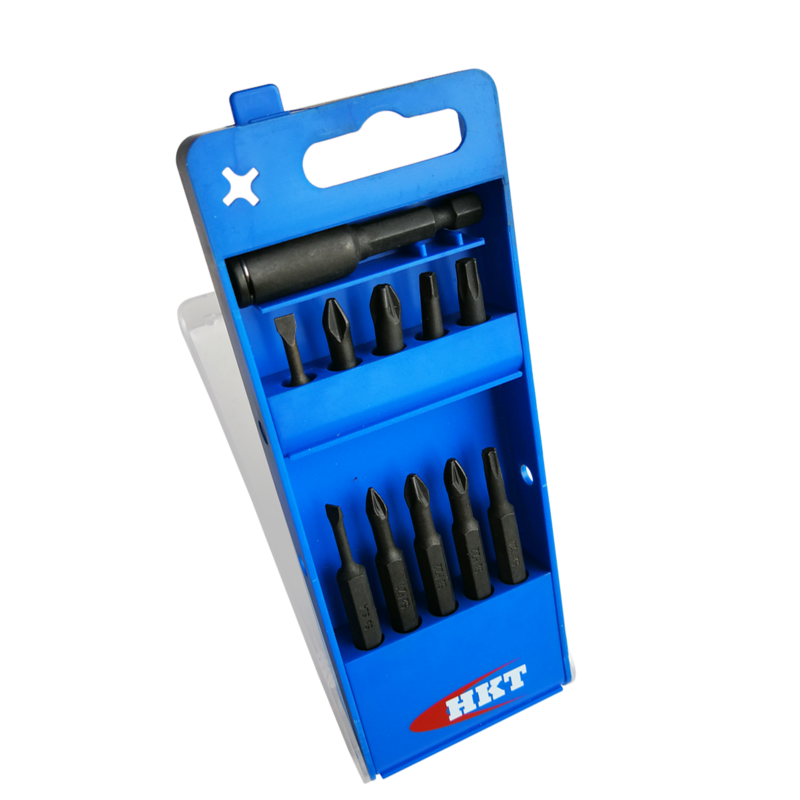 Bright/black finishing. 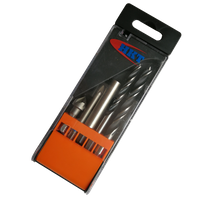 - 5pcs 50mm torsion ACR power bits, oxided red bronze color finishing. 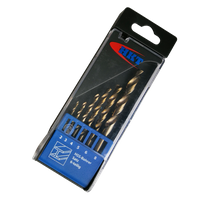 - 5pcs 25mm torsion ACR insert bits, oxided red bronze color finishing.